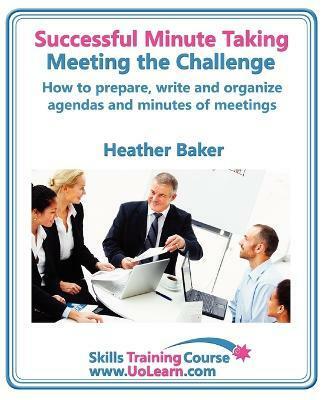 Successful minute taking and writing is easy to read and has lots of exercises to help you develop your skills. It has advice on note taking, summarizing, preparing agendas, becoming more confident in your role, working with the chair, writing skills and listening skills. There is a useful list of the order of tasks and a checklist with timings.